1) Walking from Darkness to light : Some people face very difficult situations in life. Their life is full of miseries. They go through very harsh times but they feel they have been going through all this because of what ever they did in the past. They understand that there will be no good if they keep on doing wrong things . They realize that “As you sow ,so shall you reap” so they become good people and so become their deeds. 2) Walking in the light : Some people have great lives. They have most things they want from life. They don’t become proud of such a life.They understand that to be able to lead such a life, they should continue doing good deeds. Such people are grateful of such great lives and they keep on moving in the light. 3) Walking from light to darkness : Some people have great lives. They have money, fame and lot of other things they ask for. They become too proud and too harsh. Instead of feeling grateful for such a life, they think that its their birthright. They forget that they have such a life because of their good deeds in the past. They become unconscious in their wealth and happiness and start doing wrong things and hence start walking towards the dark. 4) Walking in the dark : This is similar to first category of people with their lives full of miseries but they think that there is nothing good in their lives why should they let others live in peace. These people are full of rage.They continue to do bad things for everyone around them and themselves. They feel life is unfair to them. They have lot of negativity in their nature. Most of the terrorists fall in this category. It is very natural for the person who goes through so many miseries to behave like this but if at all he understands that there is nothing better that would happen by doing so and he is only making things worse for him, he would start sowing good seeds of his deeds. He is already in the dark and he continues to walk in the dark. All of us fall in one of the above categories. If not our whole life then phases or moments of our life fall in one of the above categories. As long as we are in category 1 or 2, we are good but if we are in category 3 or 4 then remember each moment we are sowing new seeds for your future. If you sow bittergourd then you will never reap mangoes and if you sow mangoes then you will reap mangoes. Each moment you are creating your future. Its never ever too late to wake up and create a better future. Irrespective of where you are coming from but from this moment on you can start walking towards the light, towards better future. This entry was posted in happiness, Positive thinking. Bookmark the permalink. 9 Responses to Its never too late to wake up. another great post, its something that we all know down inside us but never discover it.. I have always tried to contemplate on my actions as Life is a Mirror, u’ll get the same what u give.. Excellent post,Good to know every one about themselves,At what stage they fell. Its my request,Why don’t you write a good motivational book.I am sure you will succeed and can change many lives. 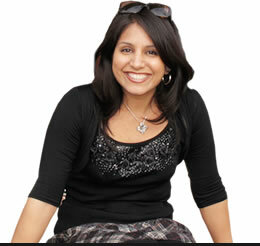 Shweta god have sent you to inspire and change lives. Really a nice post. Thanks. It gives a good direction and create a question mark on our way of thinking and behavior. I’ve Read Most Of Your Articles Over Here And Found Each One Very Inspirational. Keep Writing Such Articles, Surely It’ll Be Helpful To Each Reader Of These Articles.